Getting into a long-term relationship is never easy. Especially if you are married, know that you will have to sacrifice many things either voluntarily or involuntarily. I never like being financially dependent on anyone even on my husband. Before my marriage, I was a very passionate and career oriented woman but after my marriage, I had to quit my bank job to stay at home with my children. I was very sad when I had to kiss my one and only personal source of income goodbye. Compromising on my financial independence was never an option for me so I decided to change my career and stepped into blogging. Among all other online money making methods like drop shipping, freelancing etc, blogging has become a piece of cake because of sites like WordPress and Blogger. Remember though, building a blog is easy but turning it into a moneymaking machine to generate a five-figure income is not only difficult but challenging as well. The biggest challenge is that many people believe that monetizing a blog is evil, immoral, and greedy because your primary purpose should only be to educate your audience. To all such people, I would like to say that working hard to make your own money is far better than being financially dependent on someone else. If you are also a mum like me, give blogging a try. It allows you to stay at home with your babies and enjoy flexible working schedule. 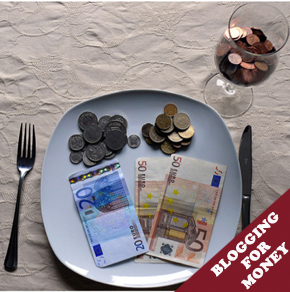 For all such moms, who want to have their personal source of income apart from their husband’s, I am suggesting some pieces of advice that would help them to generate income from blogging. Your blog should have a clear direction and niche just like other wholesale business or entertainment related blogs. You should always choose to write posts on topics which you know well. For instance, I had two options, either to write on something related to banking or to share my parenting experiences with others. Deciding upon a niche also helps you get a better idea about your targeted audience. Besides deciding on your target audience, your blog should also have a specific focus. Jumping from one topic to another that has two separate focuses does not make any sense in blogging. By doing so, you can lose your readership. Decide on the frequency of posting content on your blog. This frequency should be based on your home routine. If you have decided to blog once a week, twice a week, or even daily, stick to your schedule. Missing your date of posting can annoy your regular readers. If your children are young, blogging daily would be difficult so instead, you can make it twice a week. Also, you must have heard that valuable content is the most important thing in blogging. With so much content available on internet, readers always look for things that provide better information. For that purpose, stay up-to-date by reading books, newspapers and articles from time to time. To generate income from blogging, always remember three words: traffic, traffic and traffic. Income from any online business is generated by traffic. If you double your traffic, you will double the amount of income generated through your blog. For this purpose, try to optimize your blog for greater visibility on search engines. There are many article submission directories. You can submit your posts in these directories as well to redirect traffic to your blog via embedded links. Also, participate in forums and discussions, conduct affiliate-marketing programs, comment on the other blogs, write for others and ask for linkbacks, and try to build network with other bloggers. You can also set up pages on social media website to shift traffic to your blog and engage your readers on different mediums. Do not blame your marriage for your inability to earn. Have a happy earning experience through blogging while staying at home with your kids. You need to apply for Google ads and place ads on your blog. Genuine unique traffic will give you money for clicking the ads and Google will send you a check after specific amount. I am impressed with your simple writing but yet powerful message. I hope my wife won’t quit the job she posses now, but I will help her to get into blogging is she wishes. Patience and consistency is the two most important thing for a uprising blogger.